George Washington (1732-99) was commander in chief of the Continental Army during the American Revolutionary War (1775-83) and served two terms as the first U.S. president, from 1789 to 1797. The son of a prosperous planter, Washington was raised in colonial Virginia. As a young man, he worked as a surveyor then fought in the French and Indian War (1754-63). During the American Revolution, he led the colonial forces to victory over the British and became a national hero. In 1787, he was elected president of the convention that wrote the U.S. Constitution. Two years later, Washington became America’s first president. Realizing that the way he handled the job would impact how future presidents approached the position, he handed down a legacy of strength, integrity and national purpose. 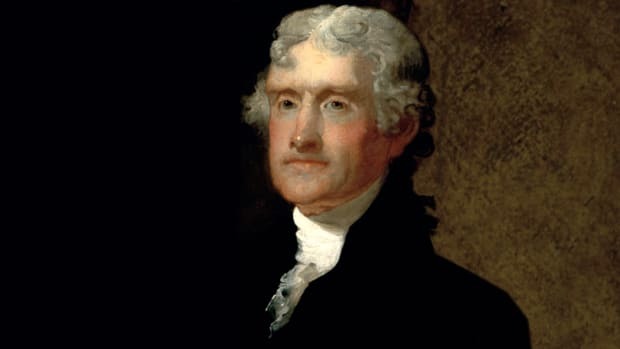 Less than three years after leaving office, he died at his Virginia plantation, Mount Vernon, at age 67. 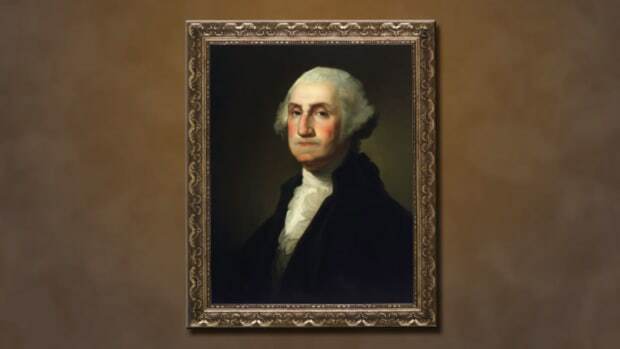 George Washington was born on February 22, 1732, at his family’s plantation on Pope’s Creek in Westmoreland County, in the British colony of Virginia, to Augustine Washington (1694-1743) and his second wife, Mary Ball Washington (1708-89). George, the eldest of Augustine and Mary Washington’s six children, spent much of his childhood at Ferry Farm, a plantation near Fredericksburg, Virginia. After Washington’s father died when he was 11, it’s likely he helped his mother manage the plantation. Did you know? At the time of his death in 1799, George Washington owned some 300 slaves. However, before his passing, he had become opposed to slavery, and in his will he ordered that his slaves to be freed after his wife&apos;s death. Few details about Washington’s early education are known, although children of prosperous families like his typically were taught at home by private tutors or attended private schools. It’s believed he finished his formal schooling at around age 15. 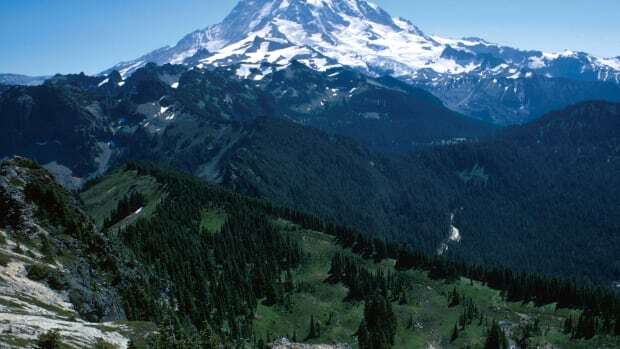 As a teenager, Washington, who had shown an aptitude for mathematics, became a successful surveyor. His surveying expeditions into the Virginia wilderness earned him enough money to begin acquiring land of his own. In 1751, Washington made his only trip outside of America, when he travelled to Barbados with his older half-brother Lawrence (1718-52), who was suffering from tuberculosis and hoped the warm climate would help him recuperate. Shortly after their arrival, George contracted smallpox. He survived, although the illness left him with permanent facial scars. In 1752, Lawrence, who had been educated in England and served as Washington’s mentor, died. Washington eventually inherited Lawrence’s estate, Mount Vernon, on the Potomac River near Alexandria, Virginia. In December 1752, Washington, who had no previous military experience, was made a commander of the Virginia militia. He saw action in the French and Indian War and was eventually put in charge of all of Virginia’s militia forces. By 1759, Washington had resigned his commission, returned to Mount Vernon and was elected to the Virginia House of Burgesses, where he served until 1774. In January 1759, he married Martha Dandridge Custis (1731-1802), a wealthy widow with two children. Washington became a devoted stepfather to the children; he and Martha never had any offspring of their own. In the ensuing years, Washington expanded Mount Vernon from 2,000 acres into an 8,000-acre property with five farms. He grew a variety of crops, including wheat and corn, bred mules and maintained fruit orchards and a successful fishery. He was deeply interested in farming and continually experimented with new crops and methods of land conservation. 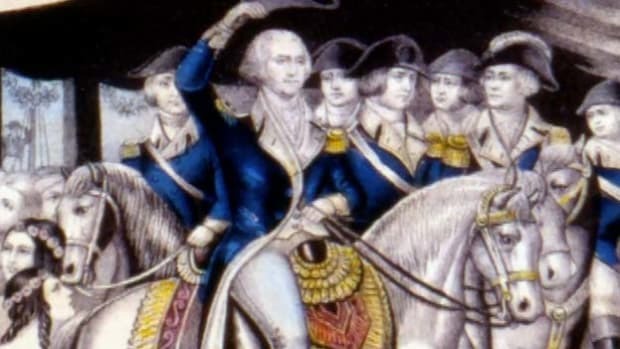 By the late 1760s, Washington had experienced firsthand the effects of rising taxes imposed on American colonists by the British, and came to believe that it was in the best interests of the colonists to declare independence from England. Washington served as a delegate to the First Continental Congress in 1774 in Philadelphia. By the time the Second Continental Congress convened a year later, the American Revolution had begun in earnest, and Washington was named commander in chief of the Continental Army. 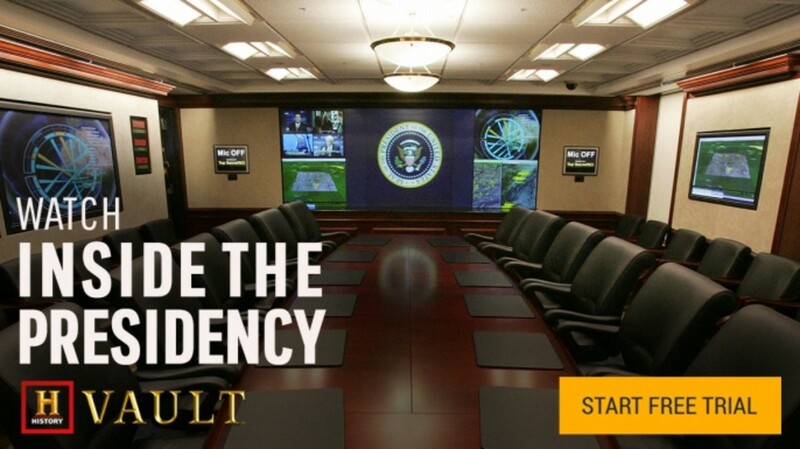 Washington proved to be a better general than military strategist. His strength lay not in his genius on the battlefield but in his ability to keep the struggling colonial army together. His troops were poorly trained and lacked food, ammunition and other supplies (soldiers sometimes even went without shoes in winter). However, Washington was able to give them the direction and motivation to keep going. Over the course of the grueling eight-year war, the colonial forces won few battles but consistently held their own against the British. In October 1781, with the aid of the French (who allied themselves with the colonists over their rivals the British), the Continental forces were able to capture British troops under General Charles Cornwallis (1738-1805) in Yorktown, Virginia. This action effectively ended the Revolutionary War and Washington was declared a national hero. In 1783, with a peace treaty signed between Great Britain and the U.S., Washington, believing he had done his duty, gave up his command of the army and returned to Mount Vernon, intent on resuming his life as a gentleman farmer and family man. However, in 1787, he was asked to attend the Constitutional Convention in Philadelphia and head the committee to draft the new constitution. His impressive leadership there convinced the delegates that he was by far the most qualified man to become the nation’s first president. At first Washington balked. 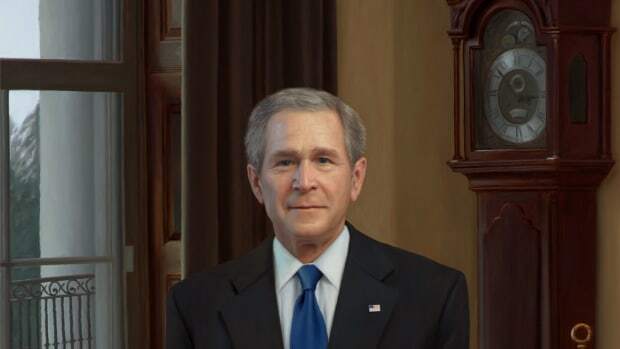 He wanted to, at last, return to a quiet life at home and leave governing the new nation to others. But public opinion was so strong that eventually he gave in. The first presidential election was held on January 7, 1789, and Washington won handily. John Adams (1735-1826), who received the second-largest number of votes, became the nation’s first vice president. The 57-year-old Washington was inaugurated on April 30, 1789, in New York City. Because Washington, D.C., America’s future capital city wasn’t yet built, he lived in New York and Philadelphia. The United States was a small nation when Washington took office, consisting of 11 states and approximately 4 million people, and there was no precedent for how the new president should conduct domestic or foreign business. 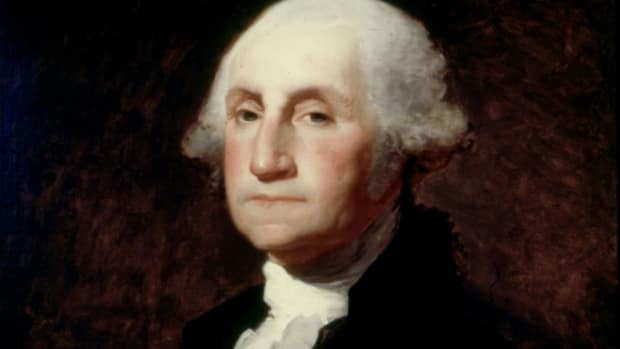 Mindful that his actions would likely determine how future presidents were expected to govern, Washington worked hard to set an example of fairness, prudence and integrity. In foreign matters, he supported cordial relations with other countries but also favored a position of neutrality in foreign conflicts. Domestically, he nominated the first chief justice of the U.S. Supreme Court, John Jay (1745-1829), signed a bill establishing the first national bank and set up his own presidential cabinet. His two most prominent cabinet appointees were Secretary of State Thomas Jefferson (1743-1826) and Secretary of the Treasury Alexander Hamilton (1755-1804), two men who disagreed strongly on the role of the federal government. Hamilton favored a strong central government, while Jefferson favored stronger states’ rights. Washington believed that divergent views were critical for the health of the new government, but he was distressed at what he saw as an emerging partisanship. 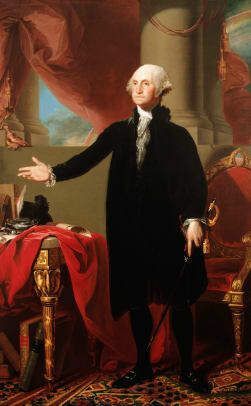 In 1796, after two terms as president and declining to serve a third term, Washington finally retired. In his farewell address, he urged the new nation to maintain the highest standards domestically and to keep involvement with foreign powers to a minimum. The address is still read each February in the U.S. Senate to commemorate Washington’s birthday. Washington returned to Mount Vernon and devoted his attentions to making the plantation as productive as it had been before he became president. More than four decades of public service had aged him, but he was still a commanding figure. In December 1799, he caught a cold after inspecting his properties in the rain. 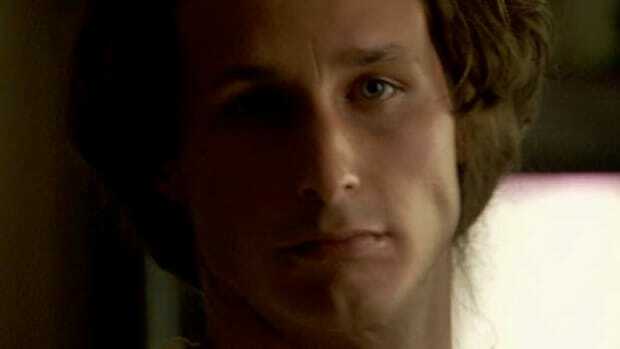 The cold developed into a throat infection and Washington died on the night of December 14 at the age of 67. He was entombed at Mount Vernon, which in 1960 was designated a national historic landmark. Washington left one of the most enduring legacies of any American in history. 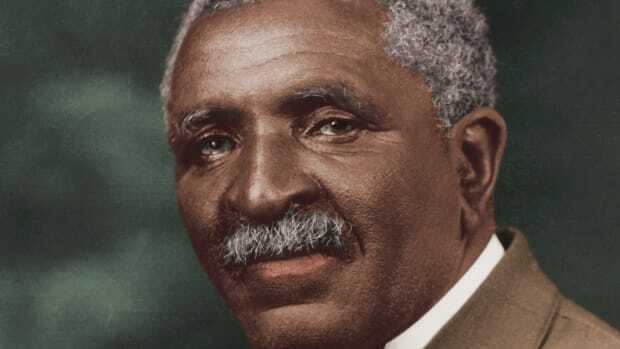 Known as the “Father of His Country,” his face appears on the U.S. dollar bill and quarter, and hundreds of U.S. schools and towns, as well as the nation’s capital city, are named for him.